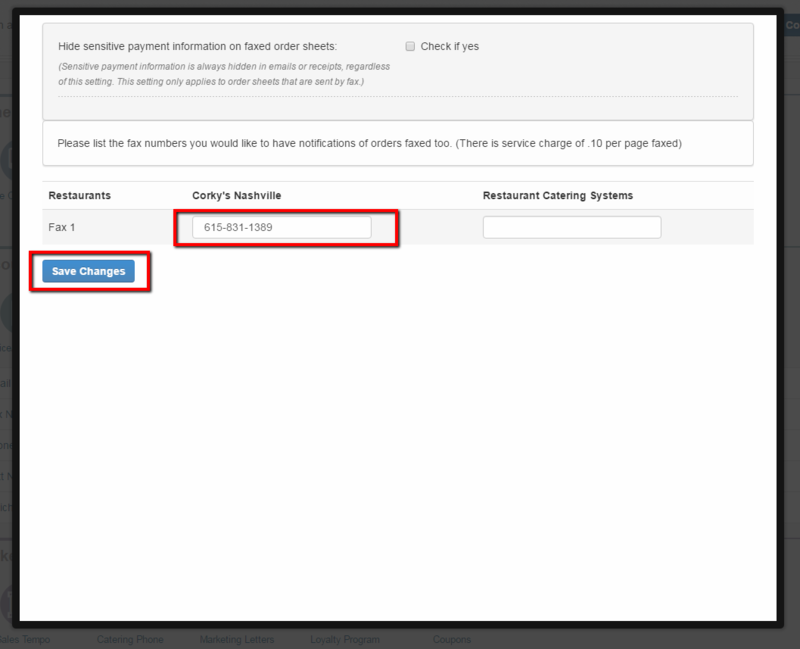 This article will show how to turn on the notification by fax that an order has been placed to be sent to the store. 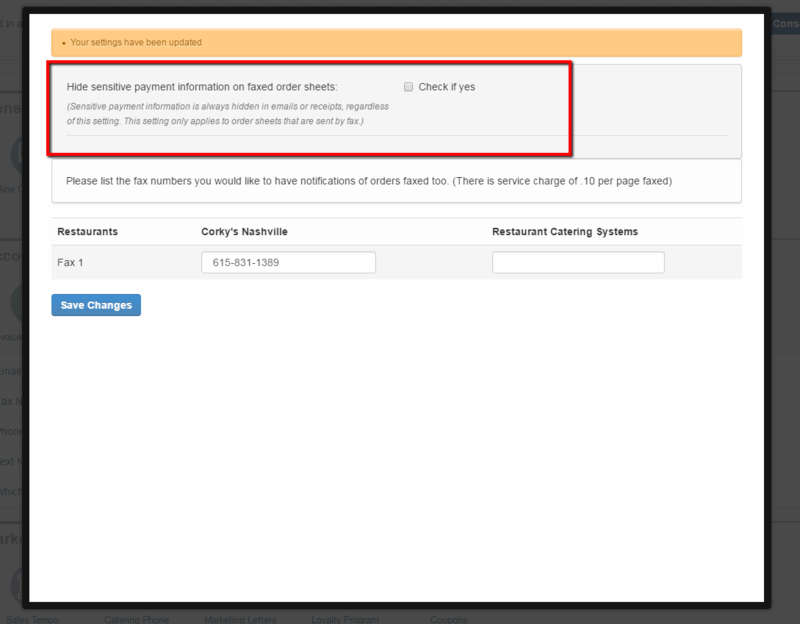 Fax notifications will deducted .10 per page from your variable fee fund when used. 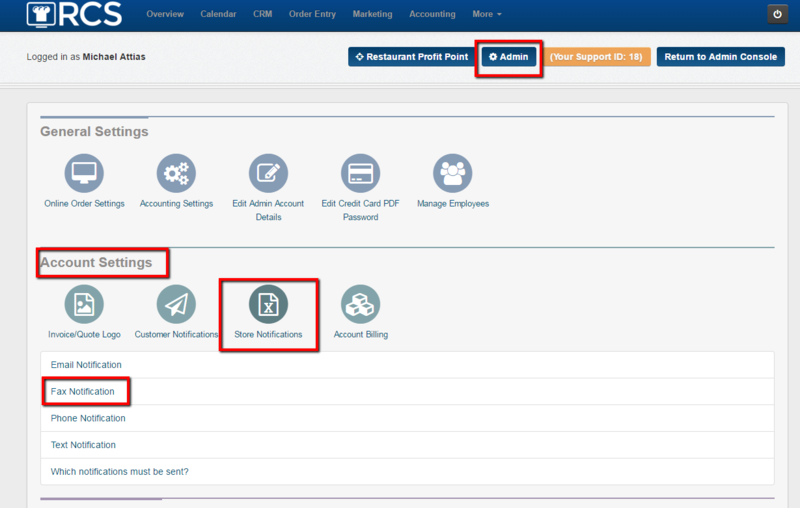 1 - Click on the Admin tab; Look for the Account Settings location; Click on the Store Notifications bubble; Click on the Fax Notification link. 2 - A pop up box will appear. 3 - Add the Fax Number to the correct location and click Save Changes. 4 - Please note the Setting box above the list of fax numbers. 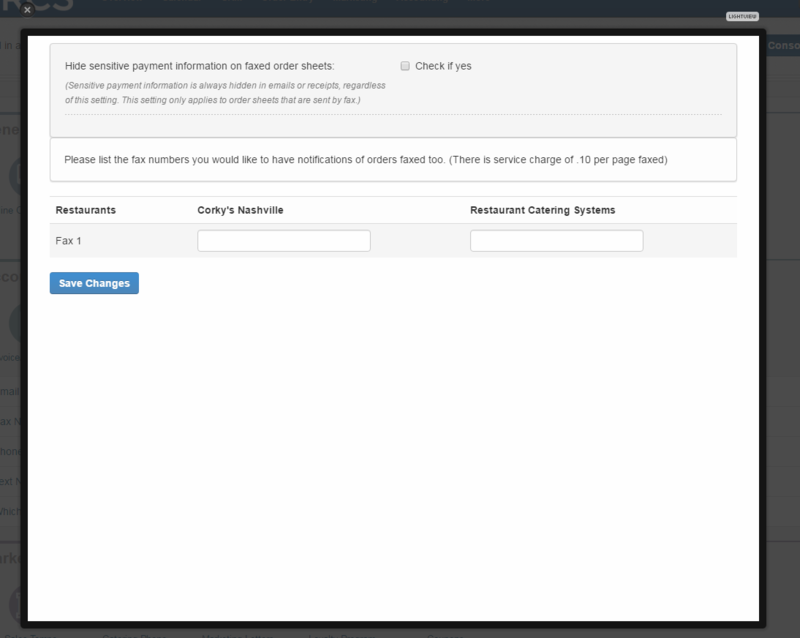 Here you can hide the customers payment information on the notification order that you receive at the restaurant. You have now turned on your fax notification setting. Please remember faxes are .10 per page.